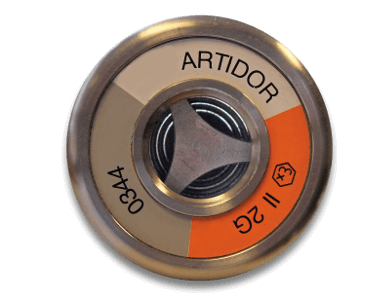 The Artidor AR-081 bulkhead connector was designed as a flame arrester for fitting in the wall of an explosion-safe flameproof Ex d housing. 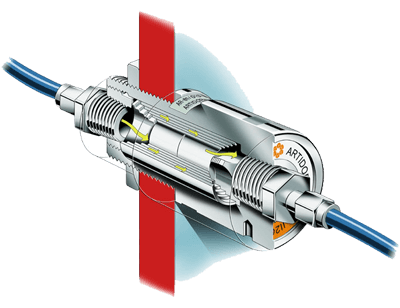 The bulkhead connector ensures the unobstructed passage of gases and liquids without affecting the explosion-safe nature of the housing. 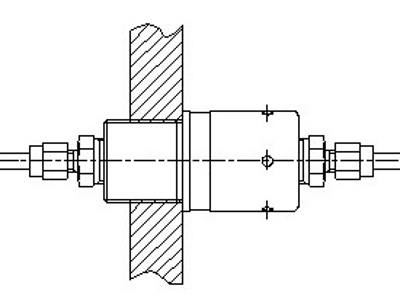 In the event of an explosion in the flameproof housing, the bulkhead connector prevents the flames and hot gases from being emitted; the hot gas is cooled by the bulkhead connector to such an extent that it is no longer capable of igniting the potentially explosive atmosphere. 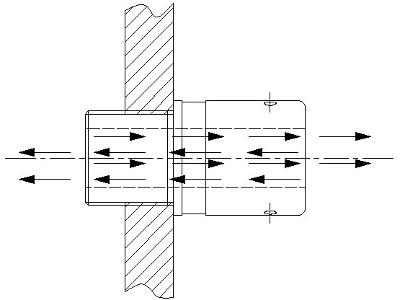 The bulkhead connection can be used as a coupling for pipes for gases and liquids such as coolants, refrigerants, hydraulic fluids and pneumatics. Thanks to its special design, the pressure loss in the bulkhead connector is very low and it holds no moisture. 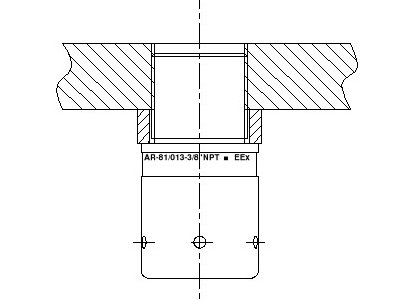 Therefore the bulkhead connector is extremely suitable for use in sampling pipes in gas analysis equipment. 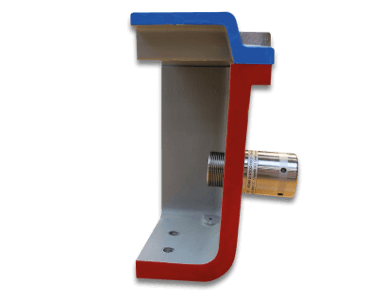 Flameproof housings are not usually designed to withstand an explosion arising at a pressure higher than 110% of the atmospheric pressure. A simple way to prevent pressure build up is the use of the bulkhead connector as a breather. 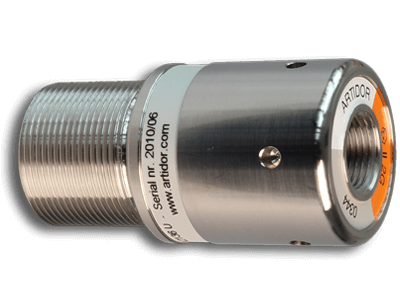 The Artidor AR-081 Bulkhead connectors are explosion-safe and certified according to the European ATEX directive 2014/34/EU (ATEX 114) and are CE marked.